universe | Lilan Laishley, Ph.D.
Saturday, December 21, 2012 is the Winter Solstice and the day the Mayan long count calendar ends. We have been waiting for this day for many years, some anticipating the end of the world, some expecting the beginning of an new age. I’m very excited about the opportunity this event brings and I plan to spend Dec. 21 and 22 in meditation, prayer, and celebration. Many people are saying that this event (the combination of the Winter Solstice, Mayan calendar rolling over, and the galactic alignment) bodes great things. It seems to me as if the frequency of the planet is getting higher and moving faster. Ideas and events are happening more quickly. I think there is no doubt in anyone’s mind that we are creating ecological disasters and our communities are threatened by chaos. There is a sense of anticipation and an urgency, as if NOW! is the time to take the actions we have previously only thought about. Now is the time to take the leap of faith and now is the time to bring your full resources on healing the planet and helping in the transformation of humanity. This does feel like a make or break time in our history, and it is important to see clearly the challenges that we face and to find the solutions. From what I have read from Mayan scholars and Mayan teachers, there is no reason to think that this ending cycle which occurs on 12.21.12 means the end of the world. Like our own calendar did in in 12.31.1999, the Mayan calendar reaches a point of ending and begins a new cycle. Just like our Y2K confusion over what would happen when the digits turned to 2000, this Mayan count is also creating confusion. It is the close of one cycle and the beginning of another, a new World Age. There is only one Mayan writing that mentions 12.21.12, and it does not mention an apocalyptic event. And there are many writings that mention dates past 12.21.12. Many cultures have myths of different Ages. Researchers have looked to Mayan myths to provide an understanding of what the Mayans thought about the end of this Age. These myths point to the belief that at the end of one Age, another Age begins that provides humanity with an opportunity for transformation and rebirth. I believe that anything that changes on our planet will be because we make it change. And I believe in the transformational power of both symbol and ritual. So I am fully participating in the symbol of 12.21.12 and the ritual of a rebirth for humanity. Because it is by our own actions, and only our actions, that change occurs. Check out the www.birth2012.com information. The 12.21.12 date has been linked by some to an alignment of our Sun to the Galactic Center on this Winter Solstice. This alignment is being discussed as a rare event that occurs only once every 26,000 years. A rare 26,000 year alignment on the same day as the end of the Mayan calendar would definitely up the ante of that event. For this reason I think its important to try to figure out exactly what such an alignment is and what it means. On the left is a drawing of our spiral shaped Milky Way Galaxy. Our solar system revolves around the center of the galaxy, known as the Galactic Center, in much the same way as the Earth revolves around the Sun. This image is of the side view of the Milky Way. The horizontal line across the diagram of the galaxy is called the Galactic Equator, and the bulge in the middle is the Galactic Center. The diagonal line moving from lower left to upper right illustrates the ecliptic, the tract of the apparent position of our Sun (and planets) as it slowly moves towards the Galactic Equator and Galactic Center, a movement caused by the Procession of the Equinoxes. You can see where the Sun’s position was in the period of 1000 BC, where it is now in the period around 2012, and where it will be at a period 3000 years in the future, around 5000. This intersection between the ecliptic and the Galactic Equator, this point where the two lines cross, is what is being referred to as the Galactic Alignment. You can see that there is an intersection, an alignment, between the Sun on the ecliptic and the Galactic Equator around 2012. The ecliptic never exactly crosses the Galactic Center, which does not lie on the Galactic Equator, but it comes really close! But this alignment does not happen only on the date of December 21, 2012. Actually this alignment takes place over a period of years, from about 1978 to 2019, with the year 1998 its closest point. But the Mayans did not have the telescopes we have now, and to the naked eye, this alignment could look exact. To me, the extended period of the Galactic Alignment, as opposed to it happening only December 21st, 2012, points to the fact that this transformational period of new birth we are experiencing is not going to happen on a single day. It has been gestating for years, and will continue to unfold for years more. I think it is significant that the Galactic Alignment is happening during this place and time in our history. And I think the ending of the Mayan cycle is significant as well, and that together they point to an important period in our history. But the end of the Mayan calendar on 12.21.12 and the Galactic Alignment do not intersect on exactly at 12.21.12 as a grand finale to some glorious end. They point to the very difficult challenges of our time, of our Era, and encourage us to take the challenging, even disastrous events of our world seriously, as the make or break situations for humanity that they are. 12.21.12 can be the impetus to take actions that can begin to remedy the troubles of our world in order to bring about the new Age of transformation the Mayan calendar promises. But we can take one day to join together and direct the high frequency of energy that we get from the universe and each other and use it to fuel the transformation. I have concluded that end of the Mayan cycle in 2012 and the Galactic alignment of our Era, opens up the possibility of a transformational shift during this time. This shift will not be forced on anyone, nor denied to anyone. It can be understood and accessed through any religious symbol system, be it Mayan, Christian, Hopi, Astrological, and others. This shift will be a Paradigm Shift. A Paradigm Shift occurs when there is a such a fundamental change in the way that we view the world that life can never go back and be the same again. The Internet is an example of a paradigm shift. The Copernican solar system, which moved us from an Earth to Sun-centered Solar System, is a paradigm shift. This Paradigm Shift will occur in our understanding of both Space and Time. The Paradigm Shift in Space is about expanding our understanding our place in the universe from being part of a Solar System to being part of a Galaxy. Instead of orienting to the Sun as the center of our universe, we will begin to see the Galactic Center as our point of orientation. We will also have a Paradigm Shift in Time. We will no longer see ourselves as limited single-life beings, but rather as multi-dimensional beings who have lived many prior live-times and who live on multiple dimensions and transverse many worlds, whether we call these worlds shamanic, dream-time, fairy world, or imaginary. Sept 29, 2012. Exact at 11:19 pm EDT. This Full Moon is in Aries, which puts the focus on new births and fresh beginnings. This Moon is super-charged, since it is joined by Uranus, a planet of expanded consciousness, global vision, and evolutionary changes. Together, the Moon and Uranus are like a team of tech developers who stay up all night on Red Bull creating new programs to revolutionize our world. Tons of energy to fuel their expansive vision and no sense of limitations. It’s as if they have the whole universe at their fingertips. Every so often we have something called a paradigm shift, which is a fundamental change so monumental it transforms the way we see, understand, and engage in the world. In the 16th century, thanks to Copernicus, we went from thinking that the we humans were the center of the Solar System, to realizing that the Earth and all its inhabitants were actually just one planet among many that moved through space as we circled around the Sun. I think we are now birthing into another such paradigm shift. In this shift we will go from thinking our Solar System is the center of the Universe, to realizing that our Solar System is just one star system among many that moves through the Milky Way Galaxy as we circle around the Galactic Center. This shift will bring us into an intimate connection with the larger universe, putting us into a relationship of unity and interconnection with the cosmos. Once we make that shift, we will start to view the Earth we live on as the unique vessel it is, one upon which we depend for survival. Fighting among ourselves in our own communities, competition among nations, destruction of the environment, waste and greed, will all be seen as self-defeating acts that sabotage our planet and only life line. This paradigm shift will not only change the way we view the universe, it will also expand our consciousness to such an extent that we could continue on our evolutionary journey from Homo habilis, Homo erectus, Homo neandertal, Homo sapiens, to our current, Homo sapiens sapiens into a new species. I call this new species Homo Spiritus, but others have called it Homo Evolutionary or Homo Universalis. Big stuff, indeed. Of course any birth has its labor pains, and this will be no different. The Moon and Uranus in Aries are in alignment with Pluto, the planet of regeneration, and we can expect that the birth of the new will follow the death of the old. This “death and rebirth” part is what gets taken out of context when people discuss 12.21.2012, and the fear mongering and bad disaster movies take center stage. But once we move past fear, I think its pretty obvious to most people that the world can’t continue on the same path it is going and not hit a major crisis pretty soon. Our weapon technology alone has the ability to destroy all life on the planet. Our weapons are advancing faster than our wisdom. The parts of life that will pass away are the parts that need to change in order to allow a new birth to occur. For example, our dependence on fossil fuels will change as we develop more renewable energies. And personally, if I really expect to evolve into a Homo Spiritus, I will need to let go of my fears and self doubts. Our history as been defined, both religiously and environmentally, by cyclical changes of death and rebirth. This upcoming paradigm shift will fit in with the same archetypal pattern. One last note of interest. This same alignment of Moon in Aries conjoined with Uranus in Aries and aligned with Pluto will also be present on 12.21.2012. This is the explosive, powerful energy needed to bring about the new birth of human evolution and consciousness. Click here for the whole MOONLETTER. The Sun is in Gemini so the Moon is in the opposite sign of Sagittarius. With a Gemini Sun our Conscious mind seeks what is already familiar. It navigates within the perimeters of the known, bound by family, history, science, economics, religion, and politics. While this playing field seems large, it is tightly bound by what is expected. With the Moon in Sagittarius our Unconscious mind is inspired by Spirit to quest into the unknown. These quests of Spirit go beyond what the mind already knows is possible. It is open to finding, even seeking, ideas never before considered. This Sagittarius Full Moon is a time to lift your wings, set your eyes on a far horizon, and take flight. Let your imagination embrace that there are possibilities that you never before considered. Explore, Expand, Embrace. Albert Einstein said that “Reality is merely an illusion, albeit a very persistent one.” He also said “We can’t solve problems by using the same kind of thinking we used when we created them.” Let’s all join together and break free from the bounds of conventional reality and create a world never before imagined. I love all the art by Susan Seddon Boulet, but this image of Eagle Woman is a favorite. To Do: This Full Moon, from Monday night to Thursday morning, meditate on this image. You are perched on a high mountain, where with the eyes of an eagle you can see far into the distance. You crouch down, ready to take flight, wings held aloft, ready to stretch out. The Sun/Spirit illuminates your journey and you are full of determination and confidence. You hold in your hand a small cup from which to give and to receive. Your exploration is happening in any part of your life, from physical adventures, intellectual inquiries, professional opportunities, scientific discoveries, creative expression, and diving into the depths of your soul. You might not know yet where you are going, but you trust to spirit and vision to find your way. The truth about What’s Your Sign??? January 16, 2011 The airwaves have been buzzing about an article written for the Minnesota Star Tribune about an astronomer who states that due to changes in the position of our dear planet Earth over the past thousands of years, that your astrological sign may have changed. Even more shocking is the suggestion that Scorpio lost over half its territory to a new sign, Ophiuchus. This was all reported as revolutionary breaking news. Yet, I and every other astrologer on the planet yawned, wondered, “What’s the big deal?” rolled over, and went back to bed. Imagine my surprise when I realized that people were really concerned, even “freaking out.” Was it true? What had happened? Were they no longer a Leo? And who or what the heck is Ophiuchus?? So I decided to get to the bottom of it all and lay this mystery to rest. Below is my description of the truth of the matter. Astrology is not as simple as some people might think, and therefore the material below is more extensive than a short sound bite. But if you are really interested in getting to the bottom of this, read on. To me, there is rarely anything more fascinating than our universe. Good new travels at the speed of light. The extent of the response to this news, the speed of its spreading, and the clear concern of many people led me to several conclusions. First, that people are interested in astrology. Second, that people really do know their astrological Sun sign and are quite attached to that part of their identity. And third, that people are becoming more curious about our cosmos and what’s happening out there. New discoveries in our universe seem to be announced on a weekly basis, some of it quite exciting. There are giant energy bubbles in the center of our Milky Way Galaxy, water is discovered on Mars, and a new earth-like planet is found that might be capable of supporting life. And into this exciting mix comes a change in your Sun sign! The possible changes to your own Sun sign brought all these cosmic and galactic happenings down to a level you could understand. You found a connection between what goes on in the universe and what goes on in you, which is really at the heart of astrology. Astrology says that there is meaning in the placement of the stars and the planets in our solar system. You tapped into the excitement of astrology, feeling the link between you and the heavens. For me, that is the most exciting news of all. Astrologers have been talking about this shifting of the earth’s alignment and its effect on the placement of the zodiac for thousands of years, and in quite a bit of depth. It’s a complicated subject and as an avid sky watcher, one that I have sought to understand. I found it quite revealing and unfortunate that a news article touting a major astrological breakthrough, i.e. the changing of your zodiac sign, didn’t consult even one astrologer! It’s hard to imagine breaking news on a medical discovery and not getting the opinion of even one doctor. But when many view astrology as nothing more than the simplistic Sun sign columns in the daily newspaper, it is easy to see why the idea that Astrology might be complex and multifaceted was not ever considered, or that Astrologers might be able to shed some light on the issue. So, since you are interested, let me briefly fill you in on the fact that you really might have another astrological sign. Astrology is a complex and very extensive field of study. Historically, some of our most brilliant minds have been interested in Astrology, including Galileo, Johannes Kepler, Nicolas Copernicus, Isaac Newton, and Carl Jung. Astrology is such a complicated topic that it is divided into specialized fields of study. One of the most basic divisions is the different systems of astrology that are associated with geographical and historical areas. There is Western Astrology (which most people in the U.S. and Europe practice), Chinese Astrology, Mayan Astrology, Indian Astrology, Tibetan Astrology, Native American Astrology, and so forth. These different types of astrology use different techniques to map the sky and to understand its meaning. In Chinese astrology the simplest designation is the year you were born, like the out going year of the Tiger or the upcoming year of the Rabbit. Mayan astrology is connected to the Mayan calendar. In the astrology practiced in India for the last thousands of year, the position of the stars is most important, and so its astrology is called “sidereal” which means “star.” In Western Astrology, the focus is on the Sun and the relationship between the Earth and the Sun that marks our four seasons. Western astrology is called “tropical” which means “sun.” Some astrological systems are more focused on the movement of the Moon. The fact that these different astrological systems use different ways to track the movement of the heavens does not mean that one is correct and another is incorrect. The Minnesota Star Tribune newspaper article referred to a widening split between the original constellations that the zodiac signs were associated with thousands of year ago and the current zodiac signs. This is true. In ancient Mesopotamia, around 4000 years ago, sky watchers noticed that while most of the stars in the heavens stayed in certain formations, some of the bright lights in the heavens moved. These wandering lights, which seemed to be circling the Earth, were called planets and are the Sun, Moon, Mercury, Venus, Mars, Jupiter, and Saturn which have been seen with the naked eye for millennium. Of course, we know now that the Sun is a star and does not move, and that the Moon is a satellite of the Earth. But for simplicity’s sake, Astrologers still refer to these as the seven major planets. The planets were always observed moving within the same 16 degree band of sky around the earth, which is called the ecliptic. The way ancients could understand where these planets were at any given time was to map the stars in this ecliptic into 12 groups of constellations, which we recognize as the twelve zodiac signs. Since there are 360 degrees in the ecliptic circle, each zodiac sign was given 30 degrees. The starting point of the zodiac was 0 degrees of Aries. The movement of any planet could be tracked through the entire constellation of Aries, into Taurus, through Gemini, and so on, until it made the full circle and was back to the starting point of 0 degrees Aries. Then the cycle began again. In this way, Astrologers were able to track the positions of the planets with systematic regularity and share that information with each other. Since the zodiac is based on the position of stars in the constellations, it is called the “sidereal” system. Over thousands of years, however, that starting point of 0 degrees Aries shifted. The media and the astronomer from Minnesota acted like this shift was new news. In fact, the Greek astronomer Hipparchus in 129 BCE discovered this shift over 2000 years ago when he noticed that the stars were not in the same position as those calculated by the Mesopotamians thousands of years before. He discovered it wasn’t that the stars had moved, since they were fixed. But rather the earth had moved slightly due to the wobbling of the Earth’s axis of rotation. Imagine that the earth is spinning like a top, and as it wobbles on its axis it makes a small circle in the sky. This small circular movement is called the precession of the equinoxes, and it moves at about 1 degree every 72 years. It will take nearly 26,000 years for the earth’s axis to complete that circle. This precession of the equinoxes is what gives defines the turning of the Ages, which each last about 2000 year. We are now at the beginning of the Age of Aquarius, and 2000 years ago, at the time of Jesus of Nazareth, we were at the beginning of the Age of Pisces. The procession of the equinoxes will continue slowly to move the alignment of the original 0 point Aries that was created by the Mesopotamians thousands of years ago further and further away. Right now there is about 23 degrees 57 minutes difference between the ancient zodiac constellations and the ones we see today in the sky. This difference is what led Parke Kunkle, the Minnesota astronomer, to say that your original astrological sign has now changed into a different one. In addition to this sidereal system of measurement, there is another system for establishing the starting position of 0 degrees Aries, and that is based on the Sun, and so it is called “tropical.” The tropical zodiac is based on the same system that establishes the dates of our four seasons, and that is the intersection of the celestial equator (which is the extension of our equator out into space) with the ecliptic (the band around which the planets move). The celestial equator and the ecliptic cross at two points. When the Sun moves past these two intersections it sets our Spring Equinox around 21 March at 0 degrees Aries, and our Fall Equinox around 21 September at 0 degrees of Libra. The advantage of the tropical system is that it stays constant, unlike the slowly shifting sidereal system. It can be confusing that there are two systems – the sidereal and tropical — to calculate the starting point of our zodiac at 0 degrees Aries. Astrologers don’t agree on which system to use, and there is quite a bit of on-going discussion about it. I can see in my astrological calculations that the Moon today January 15, 2011, according to tropical astrology, is in the zodiac sign of Gemini. But when I look to the sky tonight, I will visually see the Moon in the sidereal constellation of Taurus. The sidereal and tropical are two overlaying systems. It is best to talk about the sidereal placement according to the constellation sign, and the tropic placement in terms of zodiac sign. Think of the two astrological systems as a Mac and a PC. Two different processors, that both can produce good results, depending on who is working them. The astrology of India, called Vedic, or Jyotish, uses the sidereal system. Born 2 March 2n I am a Pisces in the tropical zodiac of Western Astrology (which I use). When I had my astrological chart done in India, I was an Aquarius. The difference in the sidereal and tropical systems doesn’t just change your sun sign position, it changes all your other planetary positions as well by about 24 degrees. This well known distinction between astrological systems is what the “Is your Zodiac changing” hoopla is all about. So no, your astrological sign hasn’t changed according to the Western tropical astrology most Astrologers in the U.S. and Europe use. But in the sidereal system practiced in India and elsewhere, you are a different Sun sign. If you really resonated to the possibility that you were a new Sun sign, you might want to have your astrological chart done by a practitioner of Jyotish. There are many Jyotish astrologers in the U.S. and abroad. If you felt very strongly about your original astrological sign, then your can take a deep breath and relax. Nothing has changed at all. Who is Ophiuchus and what is he doing in my zodiac? Now, about Ophiuchus. Anyone who thinks that Scorpio is going to give up a huge chunk of its territory to a new zodiac sign, doesn’t know anything about Scorpio!!! Good luck Ophiuchus! 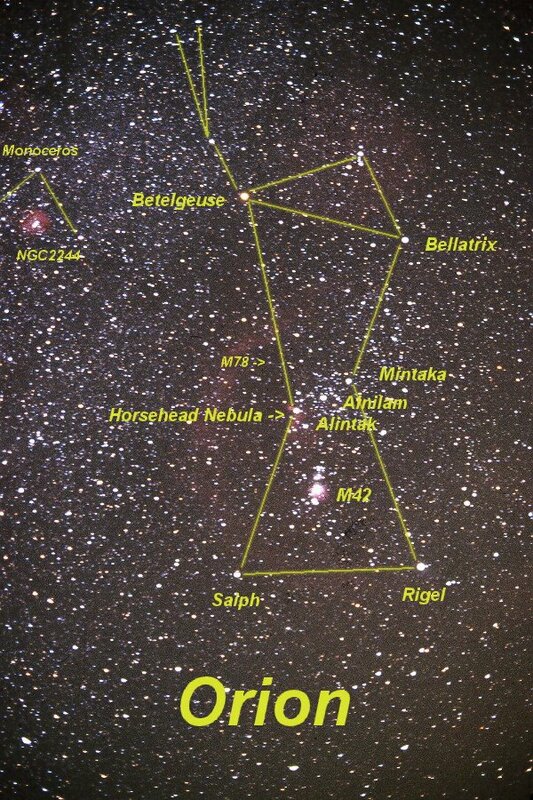 There are 48 ancient constellations that are the brightest and easiest to see. But there are a total of 88 constellations that are recognized today. Ophiuchus is one of these constellations, and he does have a spot that crosses into the ecliptic. Ophiuchus has been connected to the great healer Asclepius, which would be a wonderful addition to our sky lore at this time when we so desperately need healing. But it is not part of the traditional twelve astrological signs. Will it be one day? Should it be? Astrology is based on 4000 years of observation, and Astrologers are capable of moving with the changing times. We now use Uranus, Neptune, Pluto, and a host of asteroids that were not known to earlier Astrologers who only had the naked eye for their observation. I suspect Astrology will continue to develop, and maybe including Ophiuchus in the traditional zodiac will be part of that. But if there’s going to be a new constellation added to the existing twelve, then I’m rooting for Orion, my favorite constellation that is also near the ecliptic, and very easy to see in the night sky. There is much to be excited about in astrology, much to learn and to understand. But rather than seizing on some trendy, momentary excitement, on a newly hyped “discovery” about the changing dynamics of how the heavens move and touch our lives, we should seek perspective. We should realize that this is a discovery already made thousands of years ago. It is clearly old news. This is why it makes more sense to be excited about an insight that has stood the test of time, one that reminds us nearly every day of the profound and subtle relationship we all have to the wondrous reality which is our sky. The Sun moves into Sagittarius on Monday, November 22nd. Fasten your seat belts, the flight is departing. From the depths to the heights. The day the Sun enters Sagittarius it joins both Mercury and Mars which gives the Sun an extra boost. Jupiter is also moving into Aries on January 22nd, bringing in even more pioneering spirit to our endeavors, especially since it has been hanging around with that rebel Uranus. The symbol for Sagittarius is the archer, leaning back, bow aimed, cocked, and ready to soar. All that is required is letting go of the arrow. Sagittarius has enthusiasm and spirit and brings in an energy quite optimistic and visionary. There is an absolute “can do” attitude with Sagittarius and it calls on us to expand our horizon. It is time to quit holding back, to aim our bows and charge forward. Last night I went out to look at the night sky, fully expecting to see Orion high in the sky, with his trusted dog Sirius. But low and behold, they were not there. I have loved watching Orion on these long winter nights, and he has become like a dependable friend. Orion is one of the easiest constellations to find, since he has that wonderful belt made of three stars, and his arms and legs are spread strong and wide, like the warrior he is. And in that belt is a nebula, that I can actually see sometimes with my astronomical binoculars (which cost only about $70!) Orion’s belt is featured in the Hubble 3D movie, which is spectacular and I highly recommend. For more information on Orion check out this article and pictures in Wikipedia. But Orion was missing! I pondered what might have happened to him, when I noticed way low on the western horizon the three stars of his belt. And I realized, that Orion was leaving, his time in the sky over until the next winter. I felt sad that I would not see him in the summer nights. And I wondered what would take his place. So I looked up and I saw the constellation of LEO, the Lion! I smiled and felt relieved. Leo is also a very easy constellation to see, with his beautiful curved maned head. So check it out. And if you can’t find Leo on your own, download Stellarium for free at http://www.stellarium.org/ It is a great program to help you see the night sky. So, I’ll miss you, Orion. But I’ll see you next winter, and until then, I’ll just have to get to know Leo a bit better. Stephen Hawking, arguably one of the most brilliant men alive, just came out and said that there probably were alien life forms in the universe, and we probably should not go looking for them! He said that based on how Earthlings have treated exploration (i.e. conquest) of other cultures we should be willing to consider the fact that aliens might not be very nice. He mentioned Christopher Columbus and the treatment of Native Americans as an example. There is going to be a Discovery Channel series on him called called Stephen Hawking’s Universe. Here is the link. Now, normally I would not consider this too seriously. But, I just saw the film District 9, which was such a realistic view of alien life and our likely treatment of aliens as “others”, that I took notice. The film was great, really clever and very well done. I highly recommend it. And, I saw the Hubble 3D film too, which is such a magnificent journey into a very very very large cosmos. There just has to be other life forms than us in all those billions of stars. As Hawking says, “To my mathematical brain, the numbers alone make thinking about aliens perfectly rational”. I’m on my back deck watching the stars come out. And I saw such a bright light in the western sunset, that I knew it was Venus. Its like a sparkling diamond in the sky, in the west at sunset. But there was a small light next to it, and I knew it was a planet too, and thought it was Mercury. But since I wasn’t sure I opened a great free downloadable program called Stellarium (www.stellarium.org) and yes, it was Mercury. And Mars is out too, near the constellation of Gemini. Then I started to find other constellations using Stellarium. Orion is beautiful, as is Sirius, and I am very familiar with them. But I found all of Gemini the Twin (not just their heads, but also their feet! ), and Taurus, the bull, with her beautiful horns. Then Auriga, and Perseus and Andromeda. They are the main characters in the new Clash of the Titans. Maybe its a sign I better go to the film! Get this great program and find the stars yourself. Its pretty easy to do. Last night I had a dream about going into outer space. It was inspired by the movie about the Hubble camera that I had just seen. The ship that was taking hundreds of us to space was like a cruise ship, very comfortable and huge. My husband and I had bought trip insurance which provided an exit strategy if the trip became dangerous (sorta like trip insurance you get when you go to a foreign country where you are guaranteed to be airlifted out ). But I realized that unless I spent every minute with my husband on the trip, that I could be alone if the ship ran into trouble and would have to deal with it by myself. I pondered that, and realized that I would be o.k. and that on some level we are all alone anyway, and that I would be fine by myself. Interpretation: This dream is about doing something unknown and the risks that are involved in taking off to some place you’ve never been before. It feels good to have a companion on the journey, but on some level we are alone, and we need to remember that we are capable on our own. Which was all well and good until aliens took over the ship! !